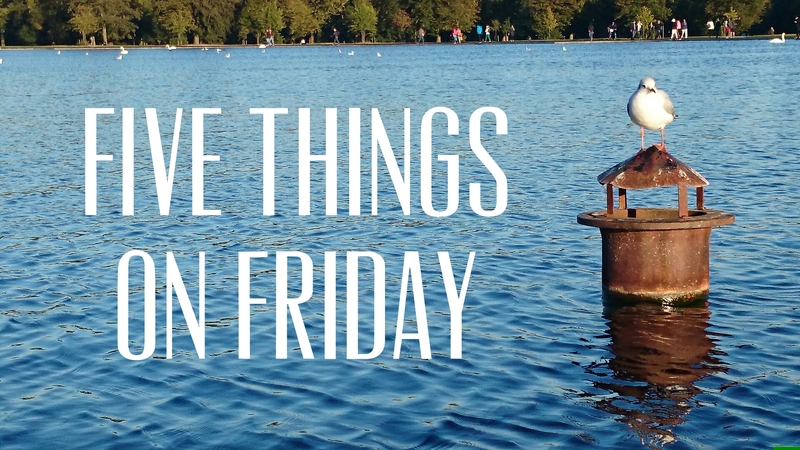 Things of note for the week ending October 10th, 2014. Did you see Guardians of the Galaxy this past summer (this is worth sticking with even if it’s a ‘no’, by the way)? Did you fall in love with a walking talking tree named Groot? If not, why not? Seriously, he steals the entire movie! Anyway, all that being said, I found this video this week. 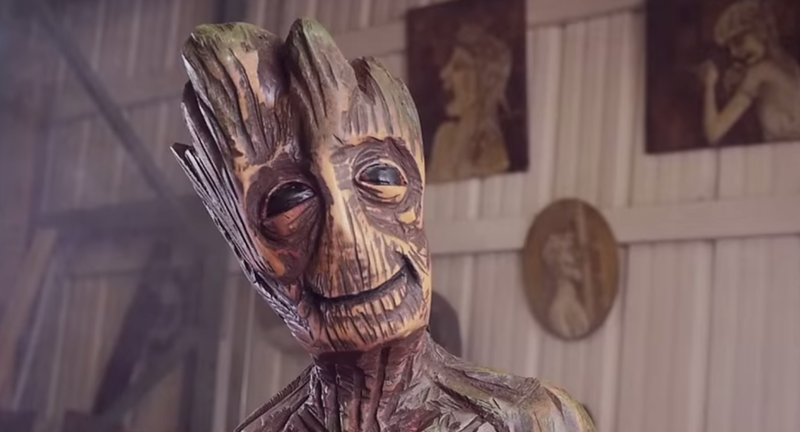 It’s of wood sculpture specialist, Griffon Ramsey (yeah, she uses a chainsaw), creating her very own Groot statue out of an actual tree. Yes, of course the end product is awesome and yes, now you’ve seen his face you can probably skip over this bit and get to the next thing (spoiler: it’s David Fincher related) but before you get there just stop. Take six and a half minutes out of your day and watch the amazing making-of video that Ramsey made. It’s not only an awesome look at how such a beautiful thing is created but also a rather lovely bit of story-telling about what makes an artist tick. If you read my website regularly (thanks) or follow me on Twitter (thanks again) you might already know that I saw Gone Girl last weekend and you might already know that I LOVED EVERY SECOND OF IT too. To say I have a massive hard on for all things David Fincher right now would be an understatement (yes, I was a fan already). So with that, here’s a selection of different Fincher things I’ve been reading this week (none of which hold any spoilers). Have you seen it yet? What did you think? Let me know, yo! Written by the talented wordsmith, Rishi Dastidar, this piece over on Medium (actually entitled ‘continuous partial argument’) is/was an entry into a competition with the above name. Read as a lament for all that is wrong with the art of the written word the author comes through as passionate, driven, and yet ultimately bereft of hope for the future. 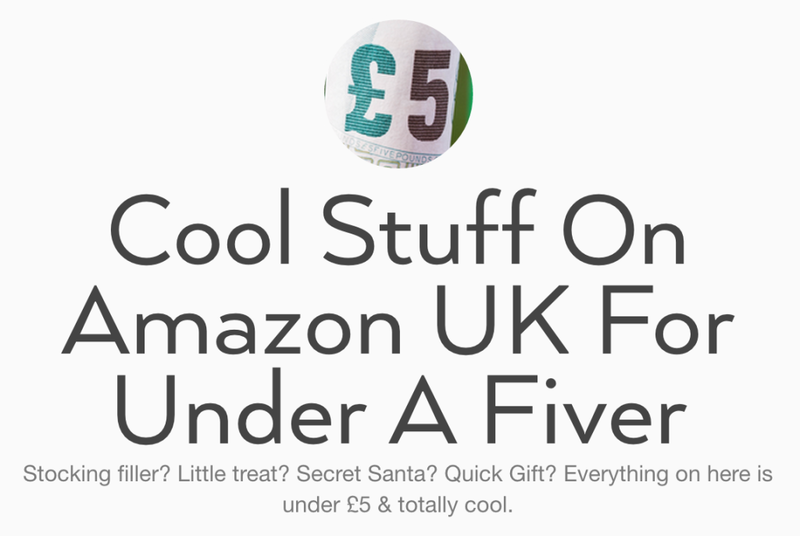 The rather thoughtful Mr Terence Eden has put together this Tumblr of things you can buy from Amazon for under a fiver. Christmas is coming so I thought this might be useful. Bookmark it. Put it in your diary for pay day. Whatever. THIS IS IMPORTANT AND USEFUL FOR CHRISTMAS. My friend, Willem van der Horst, is back in Europe and this makes me very happy indeed. He is a big thinker, a deep philosopher, and overall, the keeper of a big warm heart. We caught up last night and I’m hoping it’ll be the first of many drinks now that he’s back (ish) from Asia. You can follow Willem on Twitter or catch up on his travels via his blog, Ice Cream for Everyone (I know, right?). Over the past month or so I’ve given the same talk a few times to various groups of people all about Twitter Cards (aka ‘expandable Tweets’). The latest slides, used most recently at Social Media Week London, are now available to read/share/download over on my Slideshare account. If you do anything in social then you might them useful. Share and share alike etc. The Trailer for Disney’s new film, Tomorrowland, dropped just yesterday and it looks great. Last updated by James Whatley at October 10, 2014 .